Polypropylene Bags are found in almost every store for a variety of use: from hanging Jewellery Cards and stamps, to protecting artwork, muffins cakes and many more. UK Industrial Tapes house a large selection of OPP bags, which are all food safe too. 40 Microns thick, highly transparent and great for protection, our self seal cellophane bags are perfect for packaging hand made greeting cards. These bags are self sealing. Our self seal print bags are 40 Microns thick and are larger than other cellophane bags which makes them great for displaying larger jewellery, pictures, prints and greeting cards. These bags are self sealing. These 30 Microns thick cellophane bags are perfect for displaying and protecting your greeting cards. The bags are self seal-able and one of the most popular in our range. Our 40 Micron gusset bags allow for extra depth and room for bigger goods or products. These bags are used mainly to package and promote items. Ideal for large or odd shaped items. 30 Microns thick, these cellophane bags are highly transparent which makes them ideal for displaying your greeting cards. You could even display pictures, prints and jewellery too. These bags have a lip available on the bag, however no sealing strip. Our non self seal cello bags are 40 Microns thick and highly transparent which makes them perfect for displaying and protecting your greeting cards, pictures, prints and perfectly, ideal for those larger pieces of art. From bags as small as 50mm x 50mm these jewellery bags seal at the top to keep your content secure. Ideal for smaller products you wish to hang using the euro hole to display with no hassle. With no lip and no seal our 30 Micron thick bags have a flush top and are used to display greeting cards. The bags are crystal clear allowing the cards to be completely visible. Our crystal clear 40 Microns thick bags allow your greeting cards to be completely visible. 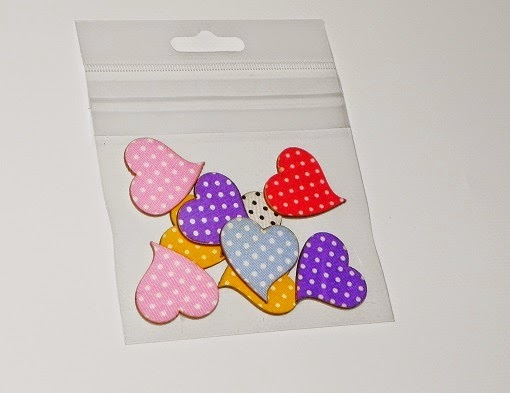 These bags are used mainly in the card industry to package greeting cards and similar products. These self-seal euro hole polypropylene bags are 40 Microns thick and are especially designed to fit all needs. This bag has been our most popular range at UK Industrial Tapes with the largest selection of sizes. Our bags are made from a high quality, thin and very transparent plastic. These cellophane jewellery bags have a sealing strip and a euro hole, making packaging and displaying your products easy. Highly transparent and using a grip seal, our 40 Micron thick polythene grip seal bags are excellent for displaying and protecting your product. They can be reused multiple times. The UK has a housing shortage. Although we need to build 240,000 new homes a year, each year we build approximately 100,000 fewer homes than this. In accordance with the Confederation of British Industry, or CBI, For the last 14 years only 4 years have managed to produce over 200,000 homes costing British consumers over £4 Billion from above-inflation charges every year. whilst in 2010, fewer houses were built than in any year since the Second World War. On the plus side according to the CPA ( Construction Products Association ) the UK has experienced a 3.4% market growth in 2014 and foresee a further 5.2% in 2015 with further progress forecast for 2016 and 2017, An exciting time ahead for the construction industry. This will decrease the above inflation charge while also have an effect on property prices within the UK. As UK Industrial Tapes Ltd produce and supply a range of Adhesive Tapes which are vital for the Building and Construction market this market sector becomes very integral to us and meeting their demanding application needs is a must. We are constantly looking at ways to improve our Adhesive Tapes and Adhesive Technology to expand and enhance our product range. By doing this we hope to add value to this market and assist our customers within their applications and future needs. In June 2014 We exhibited at Fit Show and this was hugely successful for business relations with the Window and Door Market in general. Due to this we have already signed up for The Build Show in October 2015 which is expected to be another successful event. 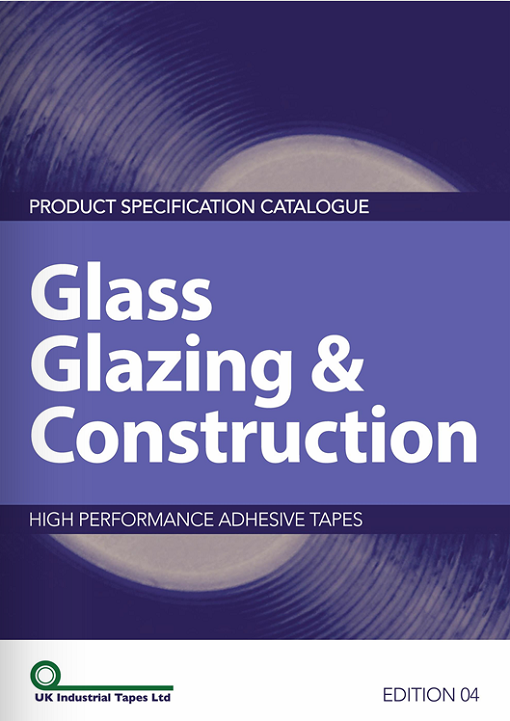 Take a look at our latest addition to our Glass, Glazing and Construction Brochure, you will see the wide range of Adhesive Tapes we offer for the expansive range of applications. We have a number of products which are approved to certain standards, especially within the manufacturing off Windows and Door’s with Data sheets available at request. As one of the UK's largest manufactures of tape, customers often ask for advice when using one of our range of tapes and adhesives. We get enquiries from every day usage to specialist tape application, from individuals as well as companies. Below are a few pointers on how to get the best results from any adhesive product you purchase from UK Industrial Tapes. As a general statement, the best temperature for bonding adhesive tapes is between +15°C and +30°C. Low temperature application is possible for modified adhesive systems, but there may be a compromise on the ultimate bond strength. The surface of the parts must be clean, dry and free of moisture and condensation. The surfaces must also be free of oil, fat, dust and other contaminants. Porous surfaces can be primed to ensure a uniform, stable surface. The cleaning of the surfaces has to be done with clean cloths together with suitable solvents, like alcohol or ethers, to remove any dust and oil. For release agents and other contaminants you can use the following solvents: isopropanol-water mixture 50:50, heptane, ethanol, acetone, MEK or other suitable solvents that do not attack the substrate to be bonded. The selected solvent must be checked thoroughly before being used and the safe use of solvents must always be taken into consideration. Adhesive tapes are pressure sensitive (PSA’s). 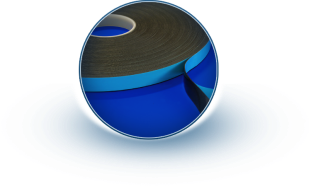 The initial application pressure is critical to the ultimate performance of the adhesive tape. The target application pressure is 10-15N/cm², which is best provided by a roller or press. When application is only possible by hand, a firm even and overall pressure is essential and is best provided by use of an applicator or rubber based ‘squeegee’. Firmer adhesive classes (such as pure acrylics) require more initial application pressure than soft ones.The full bonding power of hard adhesives is attained between 24 and 72 hours, depending upon the substrates, application pressure and the application environment. 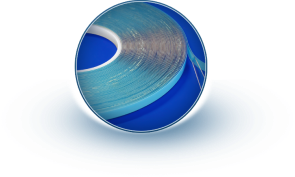 Typically, good adhesion can be attained on smooth surfaces, for rough surfaces you will also require a thicker tape or alternative product format. Good or easily bonded surfaces are: metals, high energy surfaces such as smooth wood, ABS polycarbonate, PMMA, hard PVC, wood, stone and glass. Guidance should be sought for low energy surfaces, particularly plastics, where plasticisers may be present, which can adversely affect the bond. These critical surfaces such as polyethylene, polypropylene, rubbers, powder coats, silicones, polyurethane, Teflon and varnishes should be tested for performance and compatibility prior to specifications or recommendations for use are made. The storage of adhesive tapes should be at room or ambient temperature and at 50-70% relative humidity and out of direct sunlight. Extremes and fluctuations in storage temperature and humidity should be avoided. For more information please contact our experienced team at sales@ukindustrialtapes.co.uk or call 0191 269 7810. When it comes to Archival Tape for various picture framing applications, UK Industrial Tapes are the first choice for many framing businesses. With a wide range of Gummed Paper Tape for heavier art work and Gummed Linen Tape which has a high thread count, both tapes are water activated which sets flat and provides the high tack needed for frameing applications. They are both PH neutral and will not yellow with age. Another tape in the Archival Range is the Cotton Rag Gummed Tape. This tape is museum grade approved and has a 100% cotton fibre backed paper. This is an acid free, starch based adhesive and is ideal for hinging and sealing frames. UK Industrial Tapes also manufactures Self Adhesive Archival Tapes to be able to supply all other needs within the picture framing industry. Our Art Tape can be used to hinge artwork, photos and to seal frames in a variety of colours and sizes.The Ph7-70 Tapes manufactured on site creates the high tack bond needed for the conservation and repair of books, dust sealing and other archival or conservation applications. For the last 10 years, our adhesive system has been used in libraries and other conservation applications throughout the UK with excellent results. For more information or samples of any of our archival tapes and to discuss your needs please contact the UK Industrial tapes team on 0191 2697810 or email sales@ukindustrialtapes.co.uk. 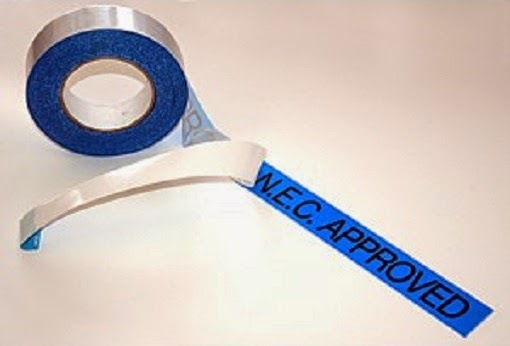 UK Industrial Tapes are the sole UK appointed distributor of the NEC Approved Exhibition Carpet Tape. Approved by the NEC in Birmingham, this product is now widely used in venues throughout the UK. Our NEC (National Exhibition Centre) approved Carpet Tape is specifically designed for secure temporary carpet installations, Ideal for exhibition hall floors. It is easily peeled off from carpet backing and floor substrates when required without leaving any residue. This NEC Carpet Tape can be used for many temporary floor coverings such as; Office areas, hotels, marquees, dance floor areas and many other fixings that require professional and secure carpet installations. Available in various widths, to suit each particular job. 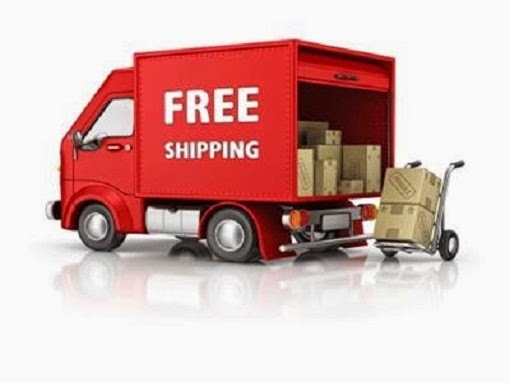 For all of the month of AUGUST we are offering FREE SHIPPING on all our internet orders within mainland UK! To keep right up to date with all our products, applications, special offers, events & interesting information visit Twitter and Facebook! Following a very successful 3 days in Telford at the Fit Show 2014, we have been busily processing all the enquiries we have received. Samples have been dispatched and quotations sorted. Our Sales Team will be in touch to catch up and discuss the samples and quotations we have provided to see how we can be a further help to you and your company. It was great to meet up with our existing customers, to talk about how their businesses are doing and also telling them about what developments we have planned for the next months. Exhibitions and shows are always a great place to establish relationship with customers and prospects. The Fit show 2014 has helped us expand our market share within the Glass and Glazing industry as has also helped underpin our goal to stay at the top of Adhesive Tapes. UK Industrial Tapes are already booked the 2016 Show and know it is going to be bigger and better than this year. We look forward to seeing you there. Whatever your questions might be, either following on from the Fit Show, or in general please, you can always contact us directly by emailing sales@ukindustrialtapes.co.uk or calling us on 0191 2697810. We have developed our ProLINK adhesive range for this application which is unique to UK Industrial Tapes. Our ProLINK Pure Acrylic Adhesive system has been tested and approved in the Nan-Ya & ODL Cassette Systems & approved to PAS 23/24.We also offer our FoamLINK 1603 for the use on the internal side of the Cassette system while using the ProLINK on the External side. Nan-YA Cassette System – ProLINK 1500R is tested & approved. ODL Cassette System – ProLINK 1000R is tested & approved. ProLINK and FoamLINK Approved to standard BS6375-1: 2009 Performance of Windows and Doors. ProLINK and FoamLINK glazing tapes have been assessed against the industry respected whether tightness standard BS6375-1: 2009 Performance of windows and doors. The ProLINK and FoamLINK glazing tapes were specifically assessed against the following clauses 6 and 7 of BS6375-1. Clause 6) Tested in accordance with BS EN 1026: 2000 Air permeability test method and classified in accordance with BS EN 12207: 2000 Air permeability classification. Clause 7) Tested in accordance with BS EN 1027: 2000 water tightness test method and classified in accordance with BS EN 12208: 2000 water tightness classification. The ProLINK and FoamLINK products performed tremendously, gaining outstanding results, where they both achieved an Air Permeability of 600Pa and a water tightness of 1500Pa. The test was stopped at the above figures with no water leakage, an exceptional result when it should be considered that a hurricane with a wind speed of 80mph is equivalent to 800Pa. Testing was performed by the UKAS accredited test facility of Winkhaus Laboratories (A division of Winkhaus UK Ltd,) who offer part and full assessments of BS6375-1 and many other test services to UKAS accredited standards for windows and doors. For more information or samples of our products please contact the sales team on 0191 269 7810 or email sales@ukindustrialtapes.co.uk. You can also find our more information about our products on our website by clicking here. UK Industrial Tapes are one of the leading manufacturers of tapes within the UK. 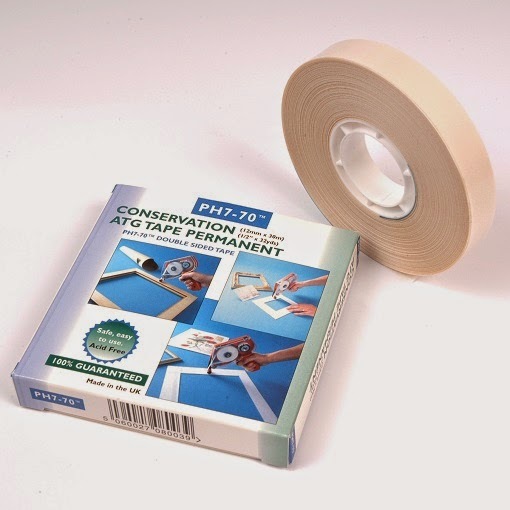 We supply a strong range of Picture Framing Tapes from low to heavy duty framing application tapes to sealing packages. Our Eco 15 and Eco 25 tapes are ideal for all framers as they are self-adhesive, easy to apply, will stick to the plastic frames and offer a better finish on normal frames as well as on the back of mirrors. Our most popular framing tape is our own brand, the Eco 15. It is made with 60gsm paper (or grams per square meter.) The Eco 15 has a very aggressive, long lasting adhesive system that will not dry out over time. The 60gsm paper is very pliable and is therefore easily shaped to the back of a picture. It can be overlapped in the corners due to the tape's design to stick to itself. This is the most cost effective self-adhesive frame sealing tape currently available on the market and can be ordered online here or over the phone (0191 269 7810) in any quantity, with the option of a next day delivery. Available in a range of sizes and quantities. Our reference Eco 25 offers a high quality self-adhesive Kraft Tape and is made with 70gsm paper and a very aggressive, non-ageing adhesive system. The 70gsm paper is very flexible and it molds to the back of pictures extremely well. This produces a neat, quick, efficient and very professional finish. The Eco 25 has been manufactured by UK Industrial Tapes for over 10 years. This tape can offer a cost effective premium frame sealing tape in comparison to the Tesa 4341. The Eco 25 is available to order online in 4 different widths. For any question or to arrange samples of the Eco 15 and Eco 25 please contact our sales team on 0191 269 7810 or email sales@ukindustrialtapes.co.uk. Alternatively you can view our products via our website here. UK Industrial Tapes offers a range of high performance double sided tapes for the Georgian Bar (astragal) Bar Application. We recommend our FoamLINK and ProLINK products for the Georgian Bar Application as they have excellent UV resistance as well as tremendous peel and shear strength, which is a critical factor for this demanding application. Our FoamLINK is available in 1mm and 1.6mm, the 1103H+ and our 1603H, are all double sided PE foam with a modified acrylic adhesive available in black or white. FoamLINK will provide a 100% waterproof bond and has excellent adhesion to glass and other Georgian Bar substrates and surfaces. Our ProLINK is a Clear Pure Acrylic, available in 1mm and 1.5mm, the 1000R and our 1500R. ProLINK will also provide a 100% waterproof bond and will give a tremendous clean and clear sight line. 1. Ensure that the surfaces the tape will be adhered to are clean from all dirt and dust by using an isopropanol cleaner. 2. Please note that if the bars are cut too tight to the frame, it will cause stress on the adhesive tape bond. We suggest to leave an approximate 1mm gap between the bar and the frame at each end as this will allow for expansion and contraction of the surfaces. 3. We recommend once the windows and bars have been glazed, to leave the finished product in despatch for at least 72 hours. This will make a noticeable difference to the performance of the tape. 4. All acrylic adhesive systems take 72 hours to reach their optimum bond. Edition 4 of the UK Industrial Tapes Brochure is here! Our brand new brochure is available to view online! With an improved layout, this brochure gives our customers an easy and extensive overview of all of our new products, alongside background information on UK Industrial Tapes. If you would like a manual version along with samples of products, please contact us on 0191 2697810 / sales@ukindustrialtapes.co.uk or via the details found on our website. UK Industrial Tapes are the largest supplier of picture framing tapes within the UK. 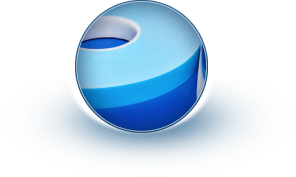 We offer the largest range of frame sealing tapes, from Sekisui, Tesa, and Supertape to our own branded Eco 15 and Eco 25. These are ideal for all framers as they are self-adhesive, easy to apply, will stick to the plastic frames and offer a better finish. We also still have high demand for Gum Strip as some framers prefer to offer a high level of conservation framing. To reach a level of conservation framing, all materials either in direct contact with artwork or within the sealed frame itself, are acid-free. Acid-free barrier paper is used to separate your artwork from the backing board alongside acid-free hinging and finishing tape. Conservation framing techniques are also utilised when mounting and framing textiles and fabrics. Framers take great care to attach fabric securely to an acid-free foam core, enabling the artwork to be well supported.When applicable, the mounted artwork is then spaced away from the glazing to allow air to circulate freely. 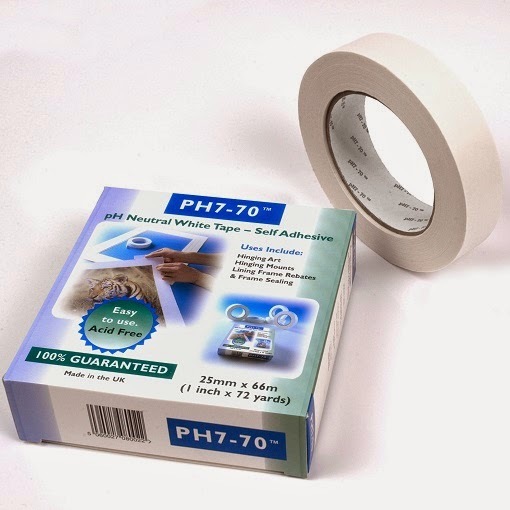 At UK Industrial Tapes we manufacture the PH770 Hinging Tape range of acid-free adhesive tapes. 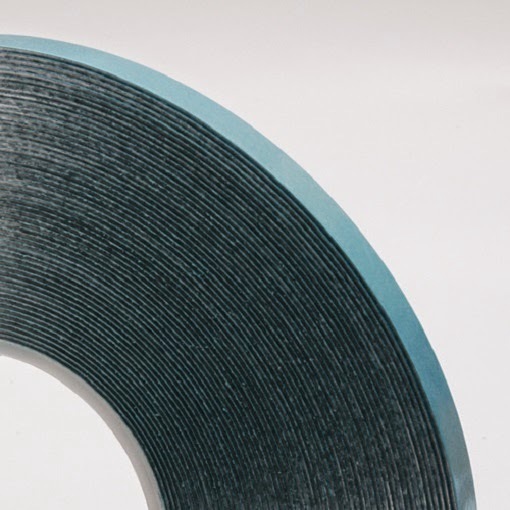 The single sided hinging tape comes in three main widths, 25mm, 38mm and 50mm. This will provide adequate support for heavier artwork. We also offer a double sided PH770 ATG Tapes at 12mm and 19mm wide. This allows framers to attach large photographs to acid free mount board and never have to worry about the adhesive drying out, going yellow or attacking the photo itself. Are you a framer? Are you currently offering conservation framing? Are you using our PH770 range? If not please contact the sales team for samples and pricing, or any other questions you might have on 0191 269 7810 or email sales@ukindustrialtapes.co.uk. Further contact details can be found on our website by clicking here. Sold in a variety of different colours, UK Industrial Tapes supply their very own artist tape. Artist Tape can be used to hinge artwork, photos and can be used to seal frames too. Limited stock available in blue, black, green, orange, red, white and yellow. 10 rolls per order can be mixed colours. We shall be Exhibiting the Fit Show from Tuesday 10th June till Thursday 12th June at The International Centre in Telford. Come and visit us at stand 229. We will be releasing our NEW Glass, Glazing & Construction Brochure! This will include our full product range for applications such as Composite Door Cassette Bonding, Georgian Bar, Glazing, Trim and many more. We look forward to seeing you there. Register for your free ticket by clicking here. For further information visit our website by clicking here. 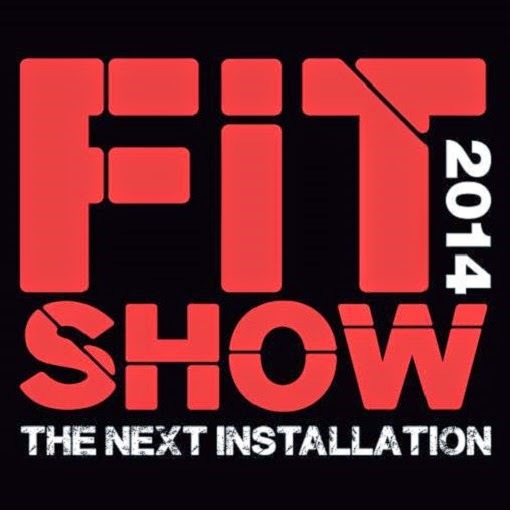 Or the Fit Show 2014 website by clicking here. UK Industrial Tapes understands the need to protect all finished frames and photographs in transit. Therefore we are able to offer Cardboard Corner Protectors and Mini Rolls of Film. These products are able to provide protection to your finished products when you dispatch them to clients no matter what size. At UK Industrial Tapes we currently have the tools for 9 popular frame sizes and are always exploring new ways to ensure finished frames get delivered with no damage at all. Alongside the Corner Protectors, the Mini Roll tool provides the ultimate protection of your products. 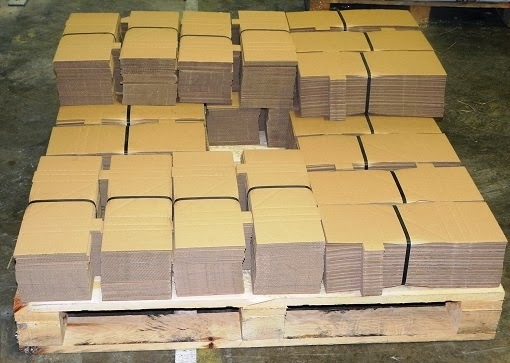 This can be wrapped around the corners and frames of products to ensure the corners are kept in place without the need of adhesives or staples. For samples and pricing, or any other questions you might have, please contact us on 0191 269 7810 or email sales@ukindustrialtapes.co.uk. 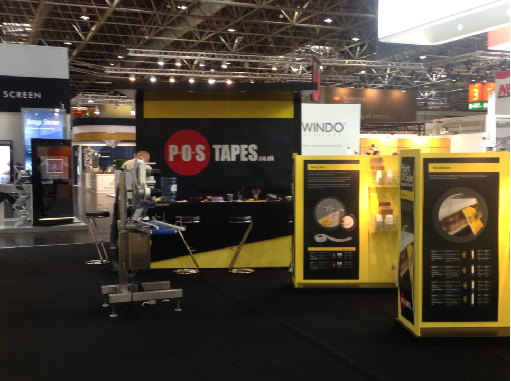 Our Point of Sales division POS Tapes recently exhibited at the world’s leading retail fair Euro Shop in Dusseldorf, Germany. With over 109,000 visitors from 110 countries over the 5 days at this show Euro Shop is one of the World’s major retail exhibition & Euro Shop was a fantastic success for POS Tapes. It has helped expand our presence in the European Point of Sale market & also meet up with our suppliers and customer across Europe & the World. We had a purpose build stand for Euro Shop where we had our full product range on show, which was a big hit with our customers over the week, we had our NEW Automatic Hang Tab application machine on the stand which applied the hang tabs automatically to a product, this was a massive success and we had the machine running constantly over the 5 days. We are now working through all the inquiry’s we received and shall have your samples and quotations out to you very soon. We will be exhibiting again in 3 years’ time at Euro Shop. Thank you for everyone who visited us at the show and we look forward to expanding our customer base across Europe. or email sales@ukindustrialtapes.co.uk. Alternatively you can visit our website by clicking here. UK Industrial Tapes will be attending the EuroShop The World leading Retail Trade Fair. During the exhibition our dedicated team will be positioned at Stand 3B36 in Hall 3 from Sunday the 16th February till Thursday the 20th February. Our dedicated team are on hand to help with any questions you may have and enable you with order and setting up business accounts with ourselves. We have an exciting new brochure with many new products to view and order while at Euro Shop to meet your every need. Please find the Link to register to EuroShop here. Along side the link to our website fr you to preview our vast rang of products here. At UK Industrial Tapes Ltd we offer a range of 3 products for the Georgian Bar application. All of our products are ultra-high quality pure acrylic adhesives that offer the ultimate in PSA (Pressure Sensitive Adhesive) performance, they have a fantastic initial tack and provide extreme temperature resistance, they are tested and approved to give fantastic Dynamic Shear & Dynamic Tensile, which is a key factor for this application. We offer the following products for the Georgian Bar Application. 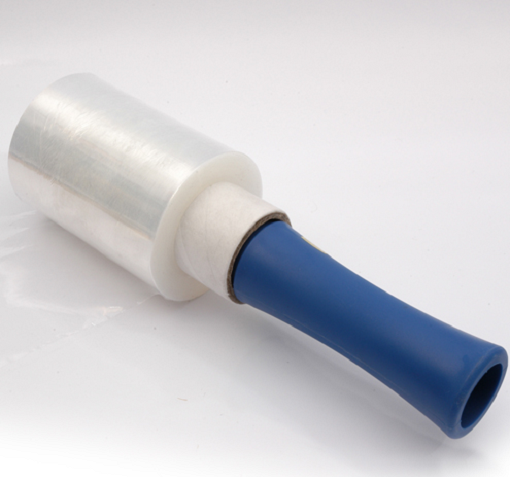 Clear pure acrylic adhesive with a blue filmic liner, 1mm thick, in any width you require. Black or White PE foam with a pure acrylic adhesive on a blue filmic liner,1.6mm thick, in any width you require. Black or White PE foam with a pure acrylic adhesive on a blue filmic liner, 1mm thick, in any width you require. White pure acrylic with a blue filmic liner, 1.1mm thick, in any width you require. For Samples and Pricing then please contact our sales office on 0191 269 7810 or email sales@ukindustrialtapes.co.uk, further contact details can be found on our website.